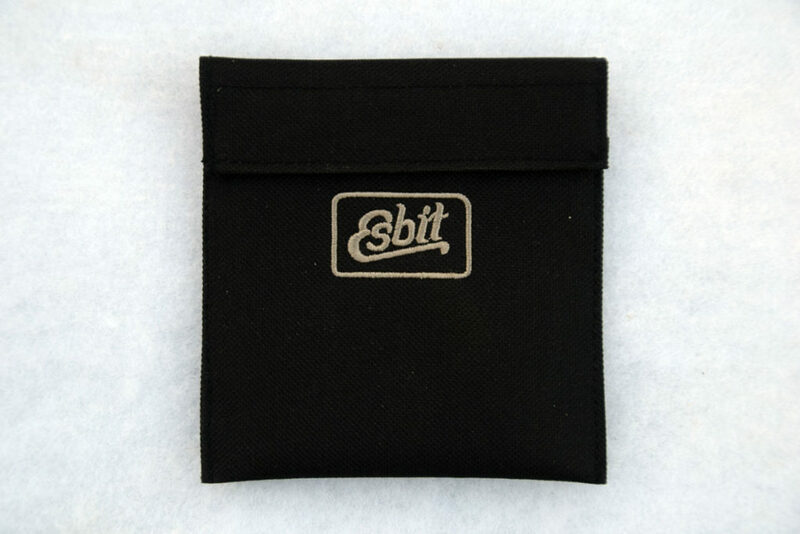 Esbit is best known for its Pocket Stove which was originally developed for military use over 60 years ago. With this primary use in mind, simplicity and ease of use are key elements in its design. 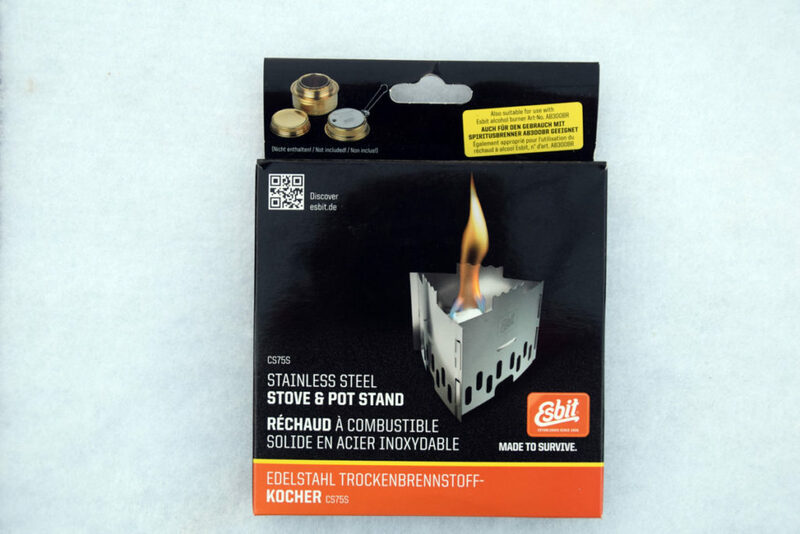 Both the Esbit Pocket Stove and the Esbit Stainless Steel Solid Fuel Stove, which is the subject of this review, use Hexamine fuel tablets as the fuel source. 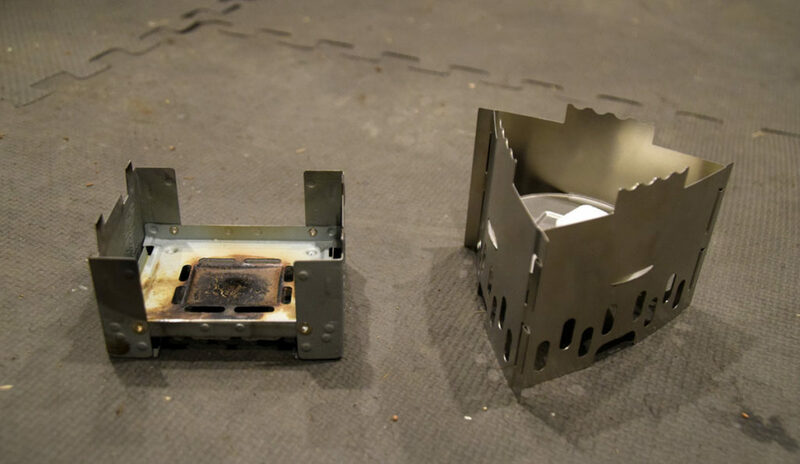 These fuel cells are a small waxy-looking block of solid fuel that sits in a metal frame that also provides a base upon which to sit your pot. While very simple and easy to use, very few hikers use this stove as their main stove. In our survey only 2% of recreational hikers choose to use this type of stove type as their main cooking method (based on a survey conducted by Australian Hiker). Having said that, the Esbit stoves have a place in my hiking arsenal and is usually my stove of choice on overnight or solo hikes when I don’t want the additional weight, or bulk of my Jetboil. The whole ‘stove’ (excluding fuel but including its pouch) weighs in at just on 93 grams and even when you add a lightweight pot to the system you are still in the ultralight category. My set up which includes the pot from my Trangia Mini set, weighs a total of 187 grams (excluding fuel). Fuel weight is pretty minimal and I find that I will use around 20 grams of fuel each day based on my cooking style. 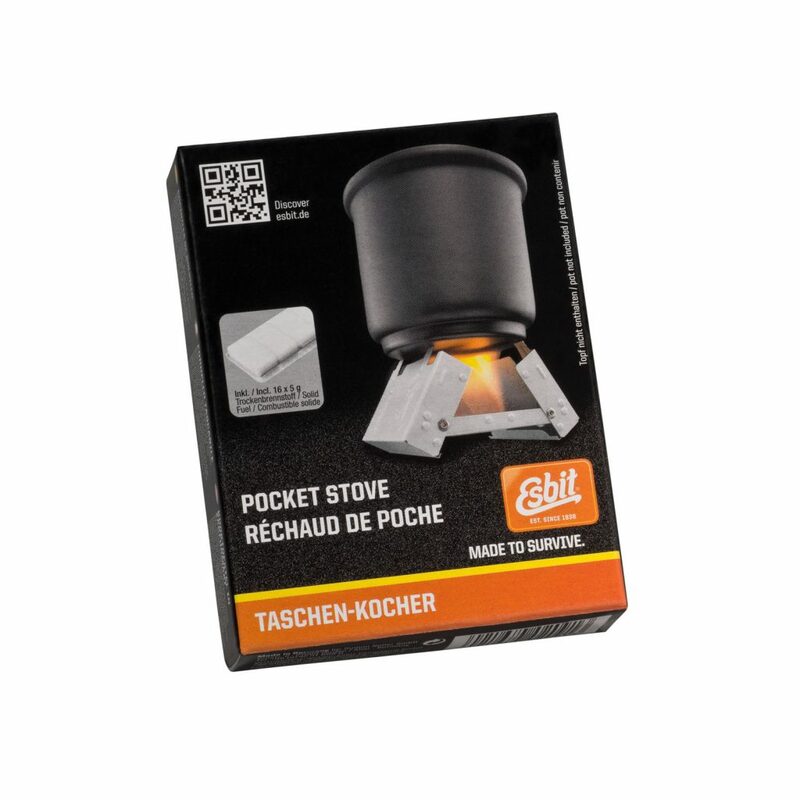 The cheaper version of this stove, the Esbit Pocket Stove, is the more common version and extremely simple to use however its simplistic design is also what makes it prone to impact by wind, even in sheltered positions which tends to slow the boiling down. 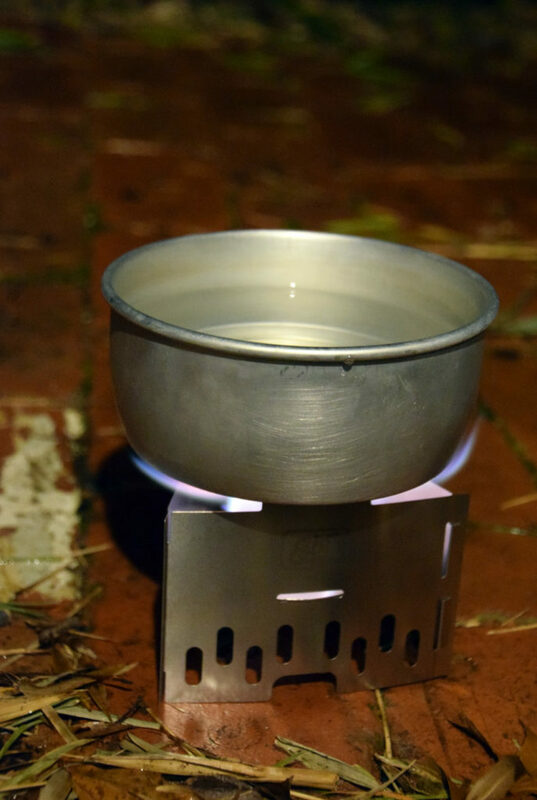 The Esbit Pocket Stove takes about 11 minutes to boil 500 ml of water. This Esbit Esbit Stainless Steel Solid Fuel Stove is a bit more complex in its construction and requires the four pieces of stainless steel to be assembled to form a unit that protects the flame from wind much more efficiently than its cheaper cousin. The Esbit Stainless Steel Stove only took nine minutes to boil water which is still very slow when compared to a Jetboil stove. When I first looked at the Esbit stoves it was a close choice between the Esbit Pocket Stove and this stainless steel version – at that stage I opted for the pocket stove as I wasn’t sure that the additional price for the Esbit Stainless Steel Stove was justified. I was wrong. The Esbit Stainless Steel Stove can only be described as the upmarket version of the Esbit hexamine fuel stoves. Firstly, the stainless steel construction is very lightweight but its main advantage is its design which means that the flame is well protected (for a solid fuel stove) even in windy conditions. To use this little stove just assemble the metal frame unit. This is easier said than done and takes a little thinking though the first couple of times you assemble the unit. Once assembled, place the waxy looking fuel tablet in the small indentation on the base and light with a match or cigarette lighter. This fuel type is not susceptible to cold weather or altitude like other fuel types. While fuel is readily available you will need to ensure you know where your next resupply is going to be or carry enough to last the entire trip. The Esbit fuel tabs come in two sizes, 5 gram and 14 gram but you will also find other brands of hexamine fuel cells if you look around. While reasonably fool proof to use, ensure you have set up your cook site on stable ground and clear away any flammable material to prevent any unwanted fires (this is less of an issue than with spirit type stoves as fuel spillage is not a big issue). 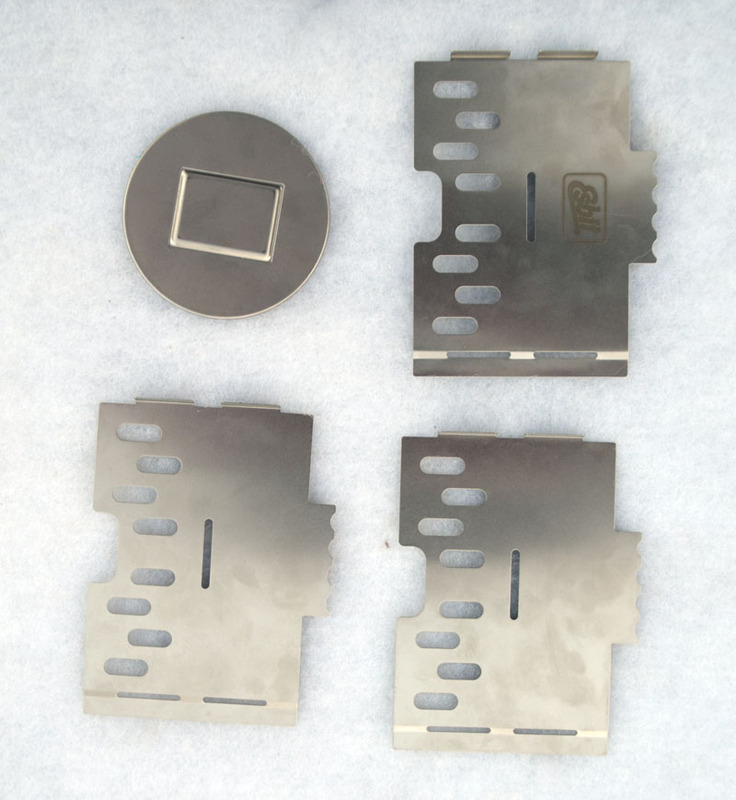 While the pocket stove needs the 14 gram fuel block to boil 500 mls of water, the Esbit Stainless Steel version can achieve the same result with two 5 gram fuel tabs making this a cheaper version to use and in the long run more economical. If you have finished boiling, the flame can be blown out and the tablets reused next time you cook so I would recommend you have a good quality zip lock bag for storing used tablets. I typically don’t cook on the trail but instead boil water to rehydrate food and prepare a hot drink. I also have a rehydrated dessert every second day which means my average boiled water requirement is between 1.4 to 1.8 litres each day for two people. This costs about $3.20 for two people which is expensive compared to my Trangia 27-1 stove set, which uses methylated sprits and costs about 14 cents to do the same job. So why then would you use this stove? The initial purchase price, while dearer than the Esbit Pocket Stove, is still one of the cheapest stove options on the market. Having now used both types of Esbit stove, this stainless steel version, while not the cheapest to purchase is more economical on fuel use and copes with the impact of wind so is definitely my pick of the range. While I probably will never use this as my one and only stove, it has a firm place in my gear kit particularly when I want to travel light e.g. 1-2 day hikes, or for an extended ultralight thru hike. Relatively cheap to run for solo hikers but can become expensive for two people when compared to other stove types. Weight versus cost, the usual trade off! Mountain Designs in Australia used to stock these stoves but with the demise of this change you may have to do a bit of searching on line to find them.